Learn about ReportPlus’s business intelligence software for businesses. Includes info on ReportPlus, free trials, pricing, customer reviews and FAQs. 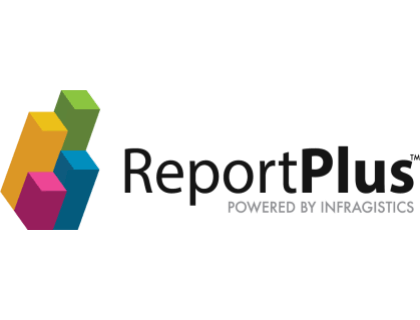 ReportPlus is a business intelligence platform for businesses. ReportPlus’s solutions include unlimited dashboards, multiple visualization types, and advanced administrator capabilities. Businesses can use ReportPlus to visualize business metrics in a centralized platform. Pros: Easily customizable with accurate reporting. Cons: Software is often slow on Android. Bottomline: Fantastic tool with an intuitive dashboard that generates reports quickly. What is ReportPlus’s price range? ReportPlus’s plans cost $99.00 per month. If you want the Server plan, you will need to pay an annual server fee of $5000.00. Is there a ReportPlus free trial? A free 30-day trial is available here. You will need to furnish some personal and business details. No credit card is required. Where can I find the ReportPlus login? There is no login capability on the ReportPlus website. You will acquire login details once you have registered for their products. What are some ReportPlus alternatives? I’m impressed. And that doesn’t happen often in the iOS world anymore, let alone for this product to blow my mind in the first few hours of use and configuration. The learning curve is minimal, if you have a decent tech-know-how. Connected to my personal home SQL server and report server without any issue at all. Dashboards were really simple to setup. Loving it so far! Awesome App - a few minor bugs. Currently using free version and am using this to access a ShipWorks SQL database remotely using OpenVPN. Am on the verge of subscribing it is that impressive so far. Overall a great app with a bit of a learning curve to figure out and also knowing how to connect to your DB is required. This is an amazing little app. I originally bought it with the hope that I could use it to explore CPG data sets I received from clients, but because I was dealing with 50k+ rows of data pretty regularly, it wasn't a feasible solution, and so i didn't spend any time learning the features. I have since changed jobs, and now I'm dealing with data sets more in the realm of 5k to 10k lines. After a little bit of frustration (couldn't figure out how to re-size columns...stupid, I know), I got passed my initial problems and have discovered the "page binding" feature which is very cool. Basically, page binding allows you to join source tables by common fields and filter reporting results from multiple data sources on the fly. For someone looking for mobile bi reporting on a sub-Tableau budget, this is a powerful solution. I used ReportPlus for a very short time. It's a good program. (Intelligent Reporter is better though.) The best advice I can give you is to trim the boilerplate down to the stuff that you know you'll use frequently. Type custom comments for everything else. To do this well, learn the MS Word shortcuts. There are lots of them and they can save you a bunch of time.You can never hit ""Ctrl, s"" too many times. Since ReportPlus is really just MS Word, consider taking a class in Word from someplace like New Horizons. You'll be able to drive the car better if you really understand how the engine works. Also, when Gary was still with the company, he used to do day-long training sessions that covered a lot of little tips & tricks. I don't know if AHIT has continued that practice.